ARTS Unleashed! 2016 offers an eclectic program that includes marquee events like Paint the Town (August 20, 21) and Festival of Dance Annapolis Royal (August 25–28). But it also features a daily lineup that explores the visual, literary and performing arts, culinary adventures, wellness, design, and local culture and history. Here are a few special places you might like to visit. It’s impossible to ignore history in Annapolis Royal and ARTS Unleashed! gives you lots of chances for a brush with the past. Fort Anne is Canada’s oldest National Historic Site. 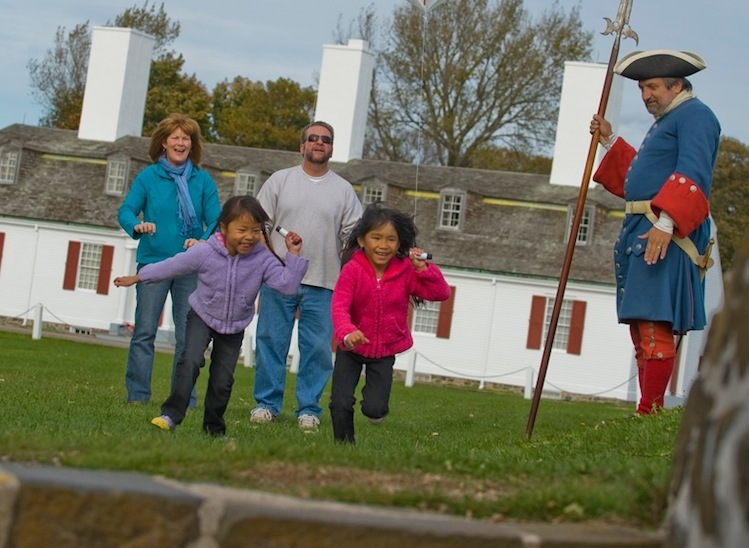 Walk the earthen walls, investigate the 1797 Officers’ Quarters Museum, explore the 1708 Powder Magazine, and soak up centuries of Canadian history. During the day wander amidst some of the oldest tombstones in Canada as you stroll through the Garrison Cemetery. In the evening get a real feel for the people of the Fort’s past and take the Candlelight Graveyard Tour. Visit the O’Dell House Museum on the Annapolis Royal waterfront. Originally a stagecoach inn and tavern, the museum was the former home of Nova Scotia Pony Express rider Corey O’Dell and his family. A little further up the street you can tour the Sinclair Inn Museum – the earliest surviving Acadian building in Canada. Explore the exhibits and take in demonstrations which showcase the preservation and conservation of original architecture from the early part of the 1700s. North Hills Museum is just over the causeway and down the road from the historic village of Granville Ferry. A circa 1764 farmhouse situated on one of the most historic roads in Canada, the museum boasts a Georgian décor and a collection of 18th century paintings, ceramics, glassware and furniture that is one of the finest in the country. A little further down the road discover Port Royal National Historic Site. Established by French explorers in 1605, the Habitation features a reconstruction of early 17th- century buildings and offers a stunning view of the river basin. The Mi’kmaw people, whose ancestors inhabited the region for thousands of years, welcomed the settlers and helped them to survive. Port Royal was the first European settlement north of Florida and was the birthplace of “The Order of Good Cheer”. Winner of the 2015 Canadian Garden Tourism Award – Canadian Garden of the Year, Annapolis Royal’s Historic Gardens attracts visitors from around the world. They come to discover and enjoy an astounding collection of flora with include rock gardens, hydrangea and day lily collections, azaleas and rhododendrons, perennial beds bursting with colour, a heather collection and ornamental grasses. 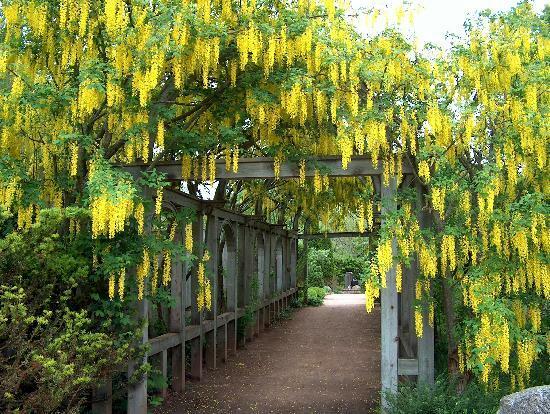 Don’t miss the iconic shimmering laburnum arbour in the spring or the summer’s magnificent rose garden which boasts over 270 cultivars from ancient bushes to modern hybrids. The Gardens tell a story of Nova Scotia settlement from a horticultural perspective showcasing gardening methods and materials which represent more than four centuries of local history. Visit La Maison acadienne, the only archeologically authenticated replica of a pre-deportation Acadian dwelling in the Maritime region. The tiny home is based on a 1671 time period when Port-Royal (later Annapolis Royal) was the centre of Acadie. Don’t miss the Governor’s Garden with its bountiful herbs and 18th Century apple trees that recall the mid 1700s when Nova Scotia was under British rule Annapolis Royal was its capital. More history can be found in the Victorian Garden, a favourite with visitors. It contains more than 3,000 vibrant annuals as well as a selection of exotic and heritage plants that reflect the tastes of the time when Annapolis Royal was an important stopping point during “the age of sail”. Wander paths past majestic trees and tranquil pools and make your way down to the shore that overlooks the dykelands, first created by the Acadians over 300 years ago. History is everywhere in the Gardens, and the plants and flowers within these 17 acres are a living memory of our past. 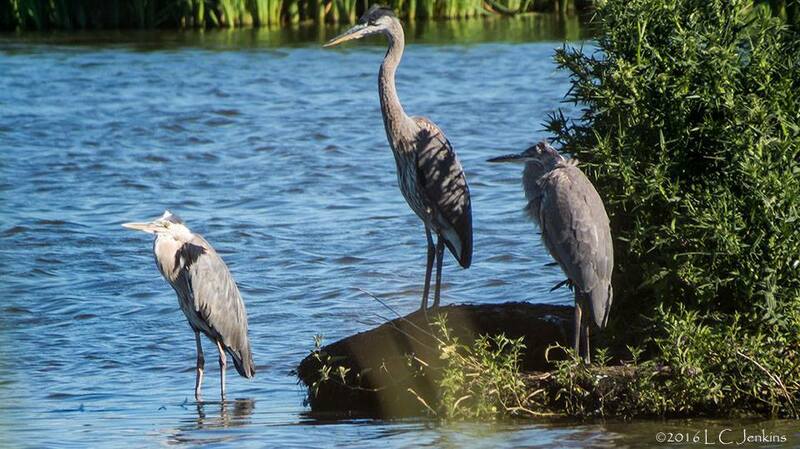 Discover the natural beauty and history of the Annapolis Basin Tuesdays and Thursdays from 10am to noon. The guided interpretive tour takes you over 3.5 km of stunning land and water. The Annapolis River watershed is the third largest in the province running from Caribou Bog outside of Aylesford down to Digby. Cost for the tour is $10 a person. It’s best to reserve by contacting CARP (Clean Annapolis River Project) at 902-532-7533. Learn more about CARP.